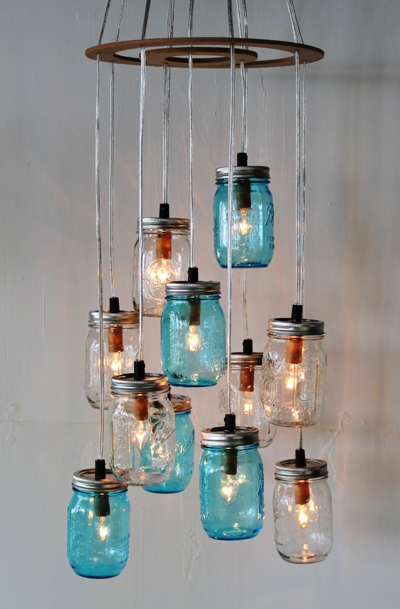 Our clustered mason jar chandelier is the perfect addition to any room! Ideal in the kitchen over an island or table or in the living room for a unique reading lamp! Perfect for parties or events!